General's Drawing Pencil Set No. 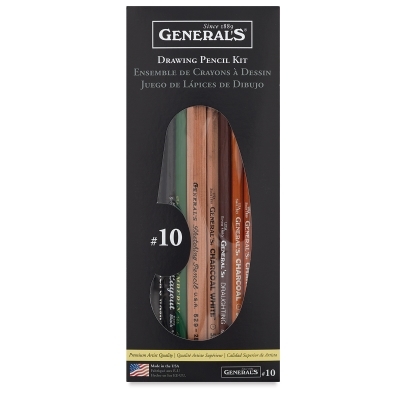 10 offers an assortment of popular drawing materials in a handy sketching box. Pencils are pre-sharpened.